The London Serviced Offices are located on Tottenham Court Road and offer self contained accommodation totalling 28,134 sq ft (2,611 sq m) arranged over the first to fifth floors, above ground floor retail space. It benefits from unobstructed natural light on three sides. The offices has been comprehensively refurbished to include a prominent new glazed entrance enhanced by a glazed canopy leading into a contemporary reception with rippled illuminated glass panel features. The two passenger lifts have been newly refurbished, with high quality finishes, as have the lift lobbies and WCs on each floor. The Tottenham Court Road Serviced Office floors are newly refurbished to provide Grade A air-conditioned space with an efficient, rectangular floor plate, allowing very flexible occupation of the space. There is a large paved roof terrace at first floor level. 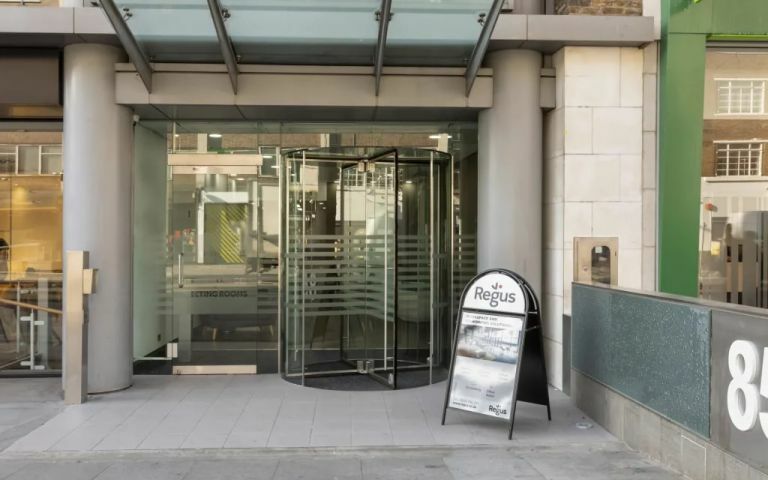 The London Serviced Office Space offers a good Central location, being on the west side of Tottenham Court Road, half way between the main London thoroughfares of Euston Road and Oxford Street. This location is within the bustling Fitzrovia district, a cosmopolitan area offering a huge range of bars and restaurants on nearby streets such as Charlotte Street, Rathbone Street and Percy Street. There is also a vast array of shopping facilities on Tottenham Court Road and Oxford Street. The property also benefits from excellent communication links being within easy walking distance of Tottenham Court Road, Goodge Street and Warren Street Tube stations (Central, Northern, Victoria, Circle, Metropolitan, Hammersmith & City lines). Easy Offices Where is the nearest coffee shop to Tottenham Court Road? Easy Offices Where is the nearest place to get lunch near Tottenham Court Road? Easy Offices Where is the nearest car park to Tottenham Court Road? Easy Offices Where is the nearest public gym to Tottenham Court Road?